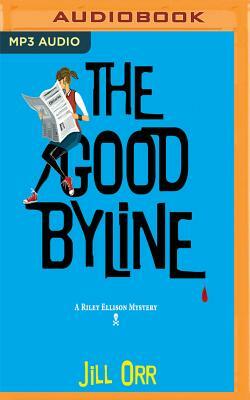 Meet Riley Ellison, a smart, quirky, young library assistant who's become known in her hometown of Tuttle Corner, Virginia, as Riley Bless-Her-Heart. Ever since her beloved granddaddy died and her longtime boyfriend broke up with her, Riley has been withdrawing from life. In an effort to rejoin the living, she signs up for an online dating service and tries to reconnect with her childhood best friend, Jordan James, a reporter at the Tuttle Times. But when she learns that Jordan committed suicide, Riley is shaken to the core. Riley agrees to write Jordan's obituary as a way to learn more about why a young woman with so much to live for would suddenly opt out. Jordan's co-worker, a paranoid reporter with a penchant for conspiracy theories, convinces Riley that Jordan's death was no suicide. He leads her down a dangerous path toward organized crime, secret lovers, and suspicious taco trucks. Riley's serpentine hunt for the truth eventually intersects with her emerging love life, and she makes a discovery that puts everything Riley holds dear - her job, the people she loves, and even her life - in danger. Will writing this obituary be the death of her?